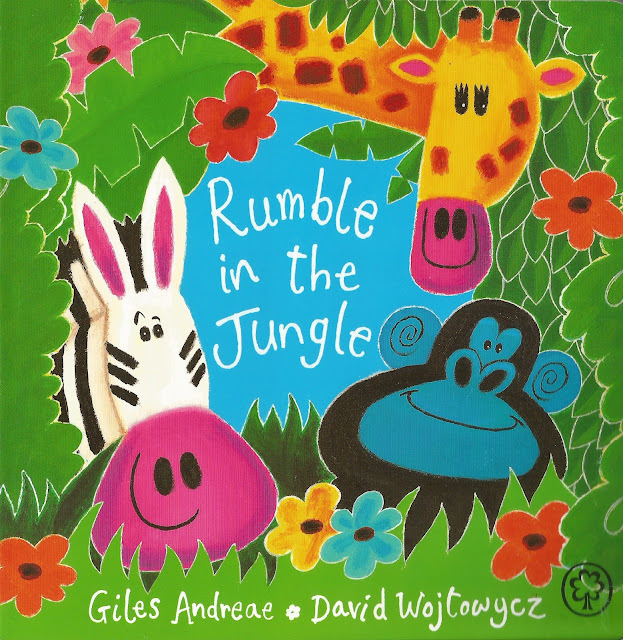 Rumble in the jungle is a great way to introduce your child to the world of the jungle and experience poetry too. This is a lovely collection of animal poems written by Giles Andreae (better known as Purple Ronnie) one of Britains best known modern poets. 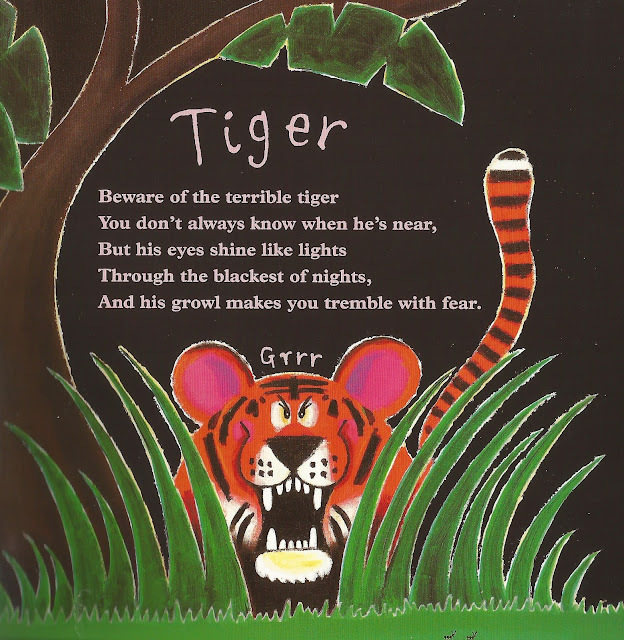 This books welcomes you into the jungle with a steady beat and a wealth of great rhymes and then introduces you to some of the animals like, Chimpanzees, Lions, Snakes and Giraffes. The rhythm and rhyme throughout the book will really interest your children. 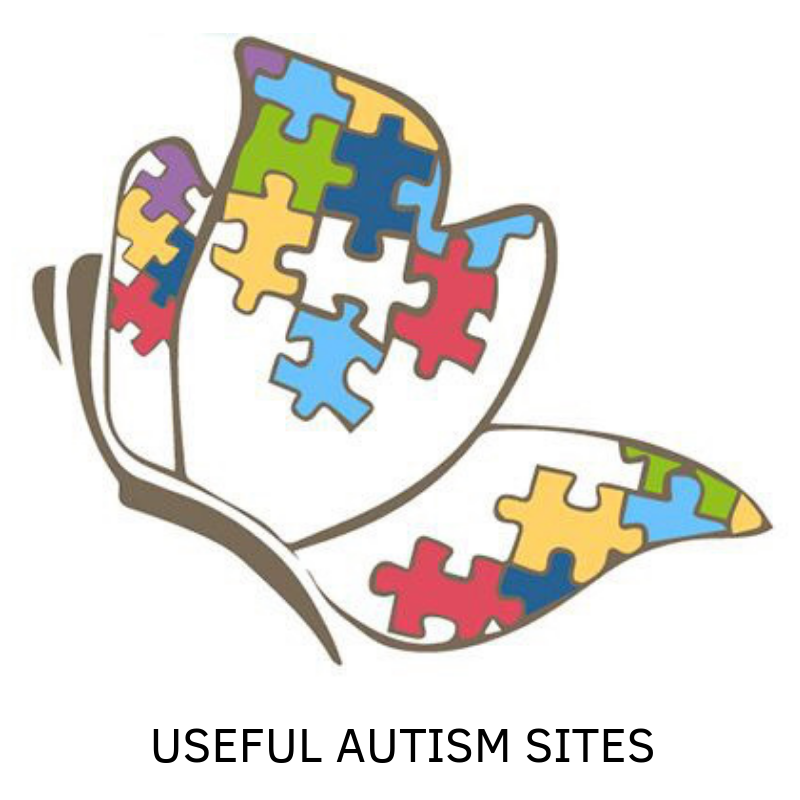 You can engage with the text by getting them to guess which animal will arrive next. This is a great story to read out loud. The text is complimented perfectly by the bold and colourful illustrations. 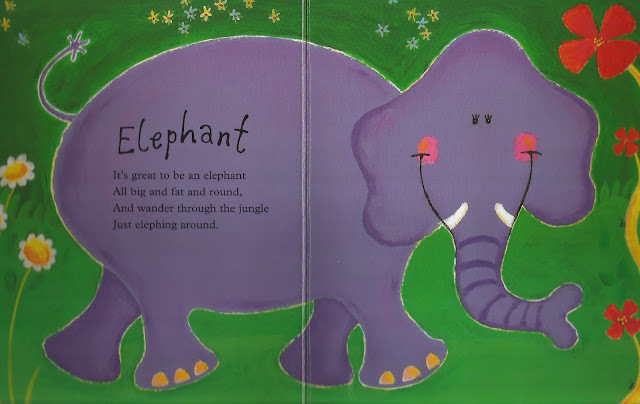 My children enjoyed copying some of the pictures afterwards and the children in my class loved reading this story, we used it in a poetry unit to investigate rhyme and alliteration. Then we wrote some of our own animal poems. This book certainly kept the children entertained with monkey's with fleas, amorous Zebras and hungry Rhinos. And the pace and rhythm with the clever rhymes make it a treat for the ears too. Our version is a board book so very robust too. Giles Andreae is the author of many top selling award-winning picture books including Commotion in the Ocean, I Love My Mummy and the international bestseller Giraffes Can't Dance. We throughly enjoyed reading this at home and at school (year 1) and I would highly recommend it for both.